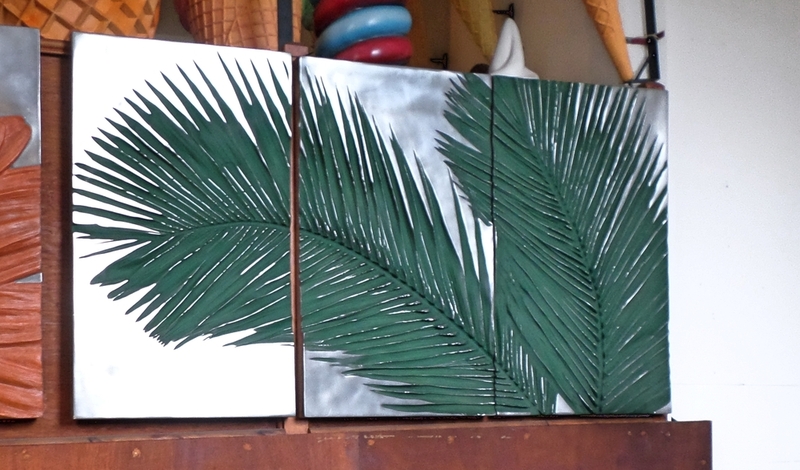 This Palm wall decor would look great on a plain wall. 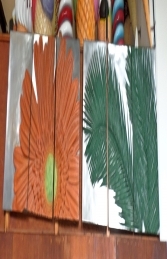 Can be teamed up with our Gerbera plaque to make a great pair. This wall decor will brighten up a dark area. Its silver background reflects any light and is a real talking point. The picture is broke up in to 3 parts.